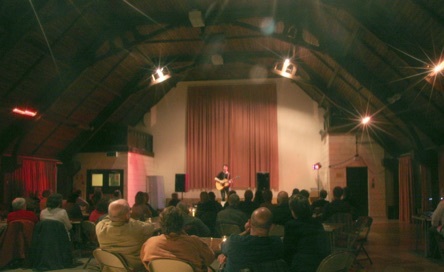 Kontra promoted regular top class acoustic roots "Potbelly" events at this fabulous venue (also a working church) in the heart of Kettering from 2013 to 2017. 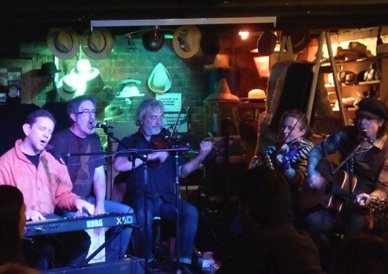 We featured a wide range of brilliant acts from the folk and roots world: a mix of familiar, established names (including Fairport Convention and The Blues Band), along with rising stars and top quality local acts. Unfortunately, due to increasingly challenging economic circumstances and declining audiences, late in 2017 we reluctantly concluded that the venue could no longer sustain regular music events. Though it is possible we may put on an occasional folk roots event there in the future, there are currently no plans to do so. The Centre does, however, continue to host occasional cultural and community events, with comedy their speciality. 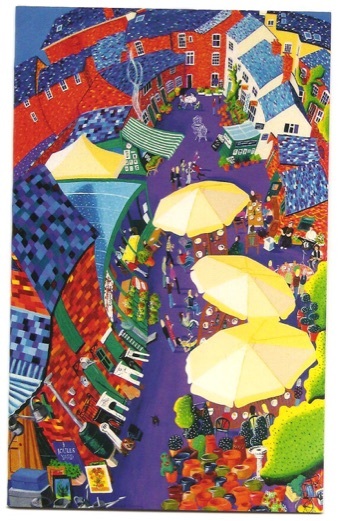 This delightfully eccentric and unique venue in Market Harborough was one of our favourites, and we ran regular music events there from 2010 until 2017 when it sadly became clear that for financial reasons Joules could no longer continue as a music venue. With quality music, excellent food and a relaxing atmosphere, there was nowhere quite like Joules, particularly during the summer months, and it will be greatly missed. The Yard hosted its final music event in November 17 but does remain open for its logburner stove and chimney sweeping business. Top UK Celtic band Govannen played regularly at Joules and were the Yard's most popular act. As any folk roots promoter will tell you, though concerts can be successful in many ways, it is extremely difficult to make them work financially. Unless an event attracts a near capacity audience (increasingly difficult these days) one is lucky to break even let alone make a profit. So, over the years, despite enthusiastic support from Kontra regulars, several of our much-loved venues have had to close their doors to live music. 2017 was a particularly bad year, and by the end of it both Joules Yard and Kettering Arts Centre had decided they could no longer host live music events. We are left with happy memories of some wonderful gigs at all our former venues. 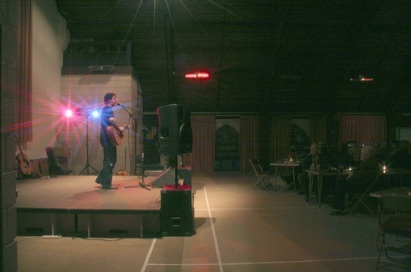 In Kontra's early years our main concert venue was at the Community Centre in Finedon, Northants. This imaginatively converted methodist church, with its wonderful acoustics and atmosphere, was a fantastic venue for roots music, and from 2008 to 2013 we held some truly wonderful concerts there featuring prominent name acts from the worlds of folk, blues, roots and beyond: Julie Felix, The Bonzos, Wizz Jones, Richard Digance, The Pretty Things, Rory McLeod and many more. Unfortunately, declining ticket sales in 2013 meant the venue was no longer financially viable for regular music events, but though we now hold our concerts elsewhere, we are left with happy memories of some truly great gigs.